Mall admin employees of the three SM Malls here in Batangas participated in the National Brigada Eskwela last Saturday, May 26. SM City Lipa for instance repaired, repainted and cleaned the two-classroom building which was donated by SM Foundation to Bulacnin National High School last 2010. SM Center Lemery employees on the other hand repainted, cleaned and changed the door knobs and light switches of a two-storey, four-classroom building, which is also donated by SM Foundation to Lemery Pilot Elementary School last September 15, 2017; while employees from SM City Batangas went to Batangas National High School where they cleaned the surrounding area of the two classroom building also donated by SM Foundation last 2010. Employee volunteers from SM City Batangas. 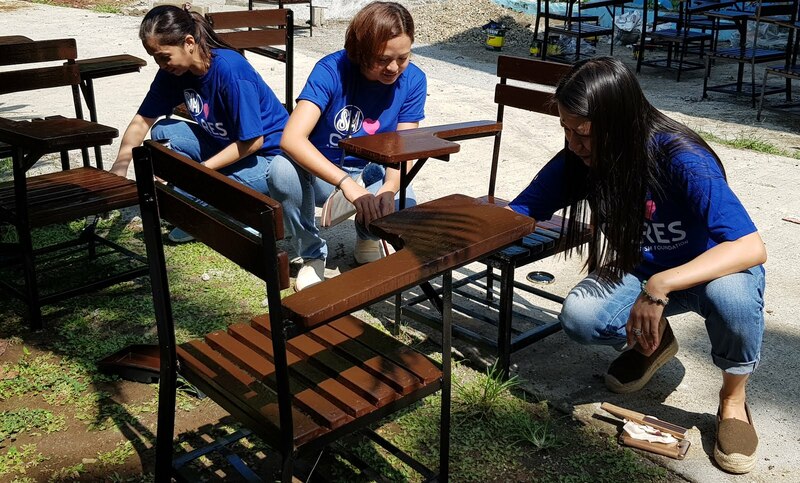 SM City Lipa Mall Manager Liza F. Dimaculangan (rightmost) together with PR Manager Wendy Bautista and Foodcourt Manager Venus Hernandez while re-painting the arm chairs of Bulacnin National High School. 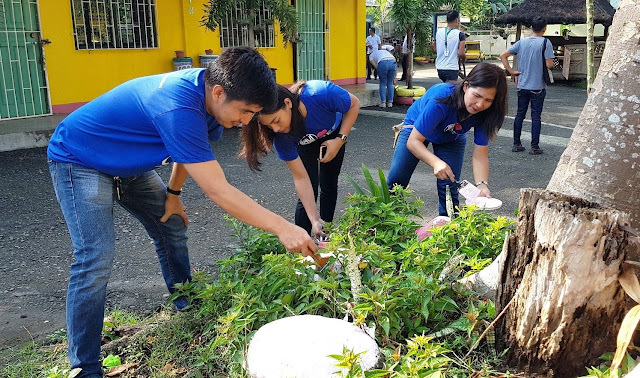 SM Batangas’ IT Officer Ronnie Ilagan with Joa Jean Azucena Tenant Relations Assistant and Maritess Baes – Operations Assistant while repainting pots and decorative stones at a pocket garden in Batangas National High School. 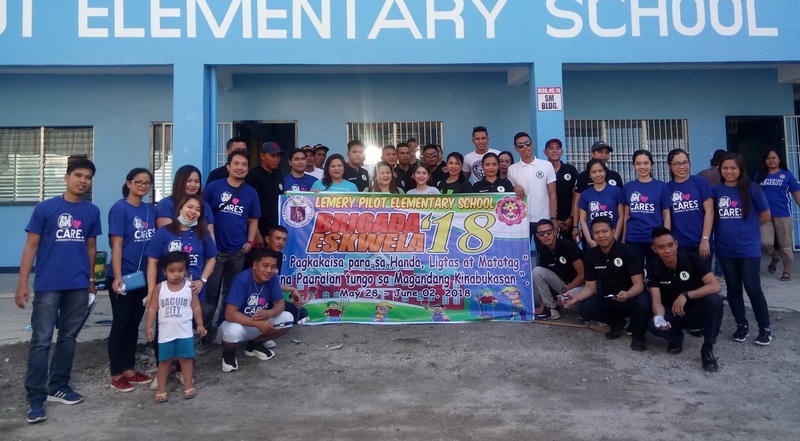 Joining the Brigada Eskwela is part of SM’s commitment to the Department of Education, while instilling employee engagement through volunteerism and fund raising. 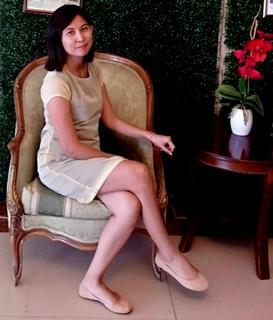 Last month, SM employees participated in a fund raising called “Bazaar for a Cause”, where the employees of the three SM Malls were able to raise a total of 15,643 pesos. 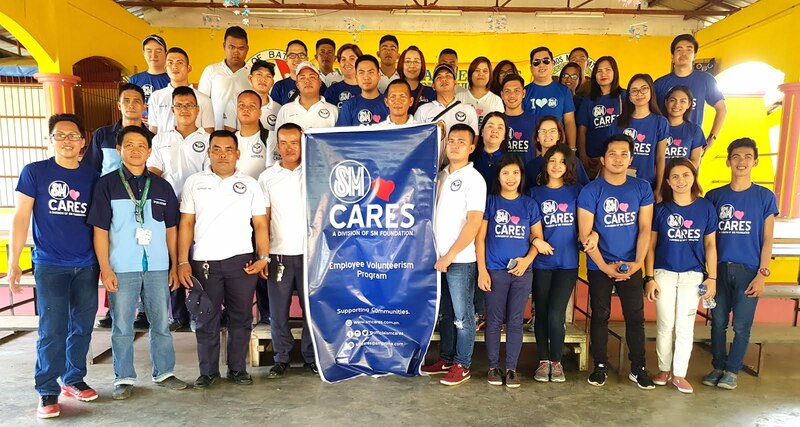 This amount together with the help from SM Cares Program of SM Foundation, abled the employees to buy all the necessary materials needed in the clean-up and repair of the three mentioned schools.